I will offer you the support you need! Every woman needs a support system. Women are designed that way. We crave community. We need support to make massive changes in our life. 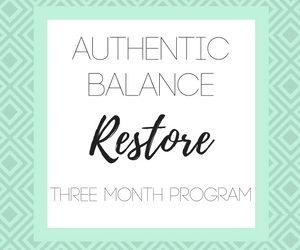 Together, we'll Create a personalized plan to help remove physical and emotional blockages. There are three ways to work with me and change your life...because you deserve to have choices. This is for the woman who needs a jumpstart. You are great with following through and don't need tons of support. You can take a plan and run with it, but you need a plan to get going. if you're thinking...'she's totally describing me right now', This option is for you. This is for the woman who desires to find self worth, and learn to put herself first. You're feeling overwhelmed, exhausted, and perhaps a bit irritable. Peace of mind and happiness sound like a dream at this point (it's possible...believe me!). You have been forgetting to take care of yourself, and need support when it comes to personalized, day to day action steps...as well as a lot of support from me, your cheerleader. If you can't help but completely relate, this option is for you. This is for the woman who desires massive change. You are ready to dive deep into your life and your soul. You are ready to give up what is not serving you because you desire, and deserve, freedom. You want and DESERVE support to make these changes. You want a personalized program and my support throughout the program to make long lasting and sustainable changes. TOGETHER...we will rewrite your story. Now my friend, the choice is yours. What choice will you make? Don't live in the twin cities? can't seem to getaway from the house? No problem! Online & In person options are available for you!!! Fill out the form below to schedule your complimentary discovery session with me. I cannooooot wait to chat!! !